Do you have a Warehouse, Flex Space, Manufacturing Building, High-Tech or Research and Development Building that needs to be rented or sold? We have the local knowledge of the industrial market to properly position your property and to negotiate the best terms. Being local, we work with municipal zoning / building departments to help obtain all necessary approvals in a timely manner. We can also assist you with State Incentive Programs, Financing, Environmental Issues, Construction and Renovations for Tenant Fit Out. Place a Sign on the property, with Town Permits if necessary. Mailings to the Industrial/Commercial Brokerage Community. Our mailing list has over 1,500+ individuals and 200+ brokerage firms. Our mailings consist of an individual fact sheet for each property. That way your building is not lost in an endless list of addresses. Information sheets have all Details and a Reduced Floor /Site Plan where feasible. Inform the Local, County, and State Industrial and Economic Development Commissions. Hold an “Open House” to familiarize the area Brokers with the property. Direct Mailings to local businesses. We have found that adding our fliers to the local Chamber of Commerce mailings and e-mails reaches the local business community and has given us excellent responses and exposure. 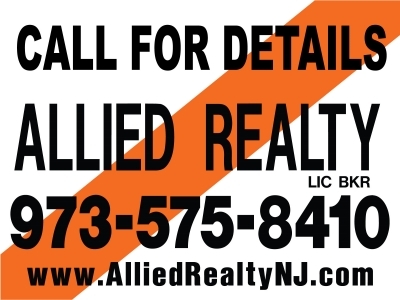 Along with Allied Realty’s web site, we subscribe to CoStar, LoopNet.com and other online listing services. As a LoopNet “Premium Property”, your property will be listed on over 150 websites of Newspapers and Business Journals.